Update, October 8: You can eat Fallout 76’s cats, but you can’t pet them. Sorry. You need to eat and drink to stay alive in Fallout 76, and when all your local supermarkets have been obliterated by nuclear war, that can be tricky. 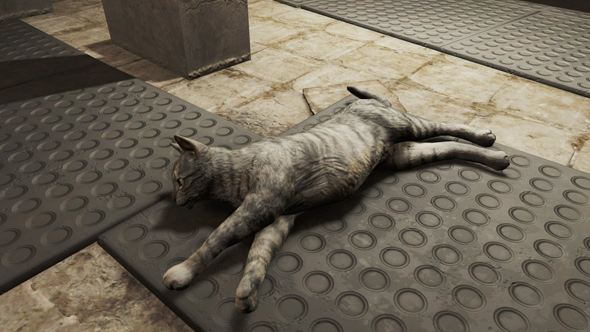 For West Virginia’s feline population, that comes as pretty bad news, because in Fallout 76, you can eat cats. We’ve known that for a while, courtsey of the NoClip documentary which you can check out towards the bottom of this article. What I personally hoped, however, is that human/feline interaction in Fallout 76 wouldn’t be limited to the culinary variety. Sadly, that isn’t the case. According to PC Gamer, while you can eat the cats you come across in Fallout 76, you can’t pet them. Not even the smallest of scritches. At a recent press event, PCG asked Bethesda whether you can pet the game’s feline inhabitants “and was told that no, you can’t pet those cats.” Chopping kitty up for a tasty snack is just fine, apparently, but petting him is a step too far. Of course, there’s still a little time left until we can head to the Wasteland in the Fallout 76 beta when it arrives next month. So there’s still time for Bethesda to correct their glaring error and Let Us Pet The Cats. We now know Fallout 76’s release date, so, really, we have a countdown to the day we’ll have to make a decision as to whether we want to, or will – want doesn’t come into it – eat a cat.